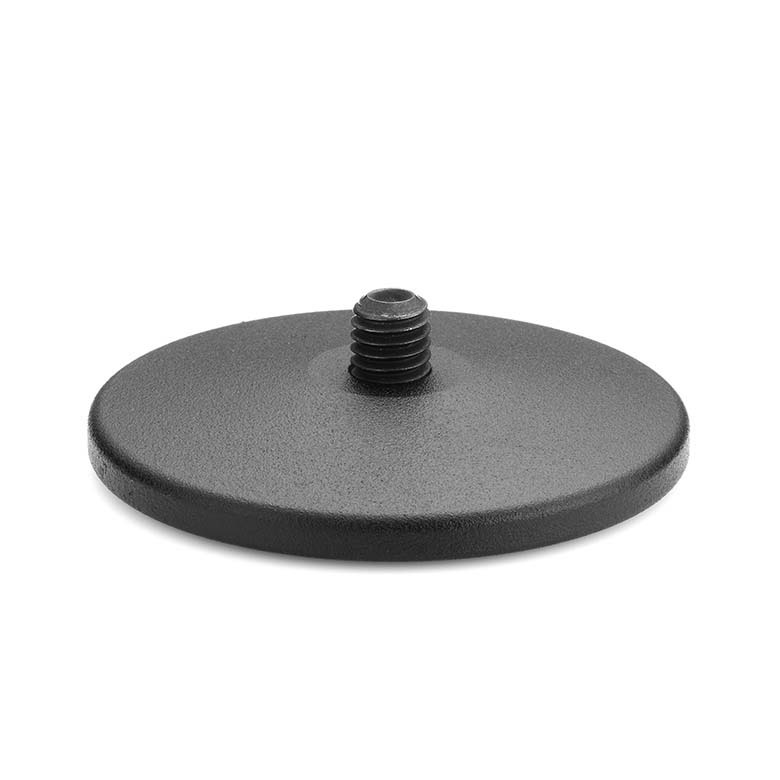 The TB4000 Table Base is a beautifully designed base for use with most microphone holders with a 3/8-inch thread. It has a black non-reflective surface and is optimized for use with CSM4000 Compact Shock Mount. Together they create a table microphone solution that is not affected by low-frequency transmission through the table.